Mahalia Jackson, the New Orleans-born gospel singer and civil rights activist, spent the later part of her life living in Chatham, in a spacious 1950s brick ranch house complete with seven rooms, a garage, a large chimney, and green lawns, located at 8358 South Indiana Avenue. When she moved to Chicago in 1927 at just sixteen, she lived with family and in various flats while she sang in churches up and down the South and West Sides of Chicago. After her 1947 hit, “Move On Up a Little Higher,” she gained international fame. With profits from her recordings and tours, she began investing in real estate on the South Side and looking for a home of her own. 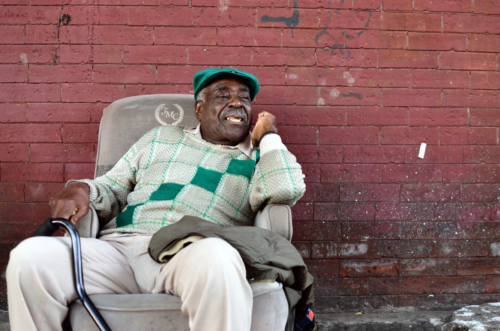 But when she began inquiring at homes with “For Sale” signs in Chatham, which was a majority-white suburb at the time, she was turned away by many homeowners—that is, until she stumbled across a white surgeon who had heard Jackson sing and was glad to sell his house to her. 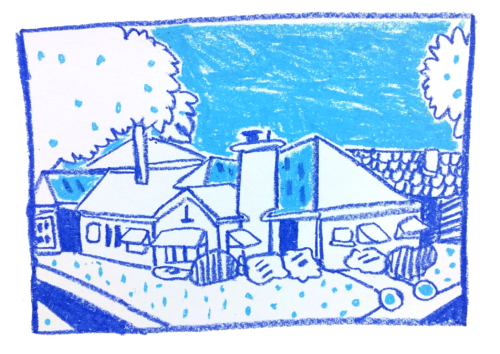 She bought the house in 1956 for $40,000 and was the second African-American homeowner on the block, after her neighbors, the Grants, who had moved in two years earlier. Last Friday, the U.S. Department of Justice (DOJ) released the results of its probe into the Chicago Police Department. It found CPD’s excessive use of force in violation of the Fourth Amendment and has taken steps toward establishing a consent decree with the department. This means the CPD will continue operating (though unconstitutionally) while working with the DOJ on a list of recommendations over the coming years. The report found that the lack of strong investigative agencies to discipline CPD officers—as well as poor training overall and a lack of direction, supervision, and support for its officers—has led to a pattern or practice of excessive and unconstitutional use of force within the department. In short, CPD officers can do whatever they want with almost no fear of repercussion. The conclusions reached by the DOJ can be grouped into two recommendations: first, that stronger penalties need to be put in place to deter police misconduct and unconstitutional use of force, and second, that further resources need to be provided for police when it comes to accountability, training, supervision, officer wellness, data collection and transparency, and community policing. For those who are rightfully wary of the CPD to begin with, the idea of granting further resources to the department is a hard pill to swallow. 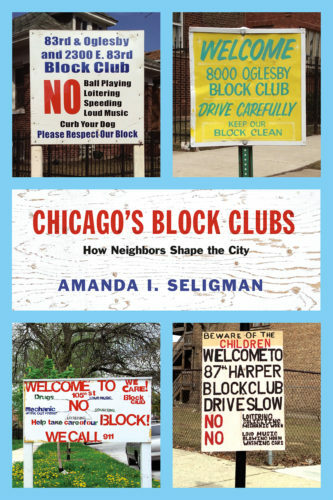 The cover of Amanda Seligman’s latest work on urban studies shows photographs of four South Side neighborhood welcome signs, the kind you immediately associate with her ostensible topic: the historically African-American block clubs of Chicago. And yet, reading the book, you can’t help but feel that the narrative of Chicago’s African-American block clubs has been omitted, a fault that Seligman explains by citing the limits of the archive she worked with while writing the book. If this was indeed the case, perhaps a sociological approach would have been better suited to her task. Her studied impassivity can be trying at times, especially to readers with inclinations toward revisionist history. That said, Seligman’s account is detailed, and helps to elucidate the relationship between Chicago’s neighborhood organizations and its city government, as well as the relationship of neighbors to each other over the last century, allowing readers familiar with the city’s history to identify ways in which Chicagoans have, at various times, worked to both oppress and uplift each other. The first presidential debate was nearly inescapable. 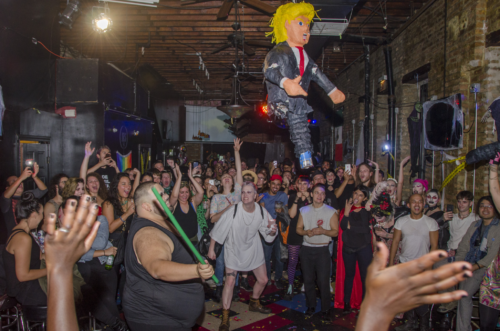 After making it through about forty minutes of back-and-forth between the candidates on September 26, I left a packed bar and walked to The Promontory for their Monday night series, the Corner, which just celebrated its one-year anniversary. 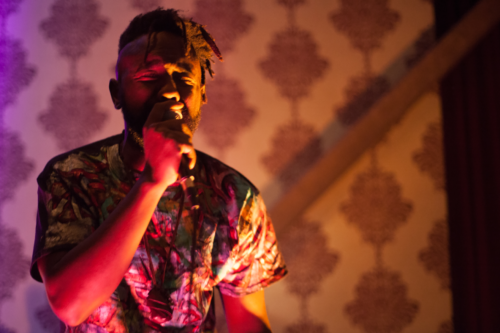 Its intimate showcase of local talent is always excellent—best of all, though, no one was talking about the debate.